Paper Made Bakery: Whoa... kissing! Happy Friday everyone! Friday means it's me, Glenda, creating for you. Happy you could pop in. Sharing this fun and colourful card with you... hope you like it. 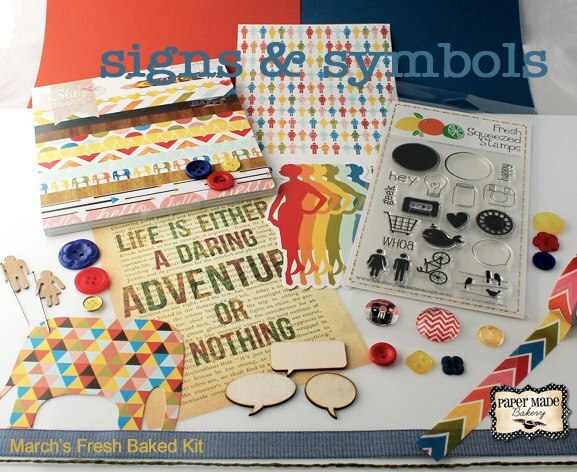 Still can't get over how much I love this Signs & Symbols kit. 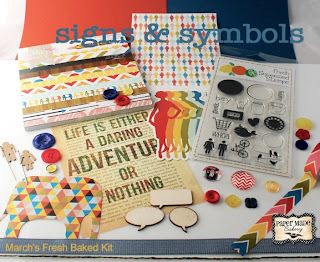 The colours, images and embellishments are amazing! I've done a video tutorial for the 'kissing' technique shown in this card. It's my first time doing a video so be gentle! Hope you enjoy it. Be sure to check out Paper Made Bakery on Facebook, Twitter and Pinterest! If you didn't stop by yesterday, be sure to check out this post to find out about the fun starting on Monday! Love love love love your card Glenda and loveeeeeeeeeeee your video! So AWESOME!!! Glenda that is awesome..love the kissing technique..thanks for sharing..
your card is too cute..
Love the easy-to-follow video. Very helpful! Love the fun colors on your card. And you are a video pro. Love it! Great video! I love this technique! No need to be gentle -- your video is great! Sweet card, too.